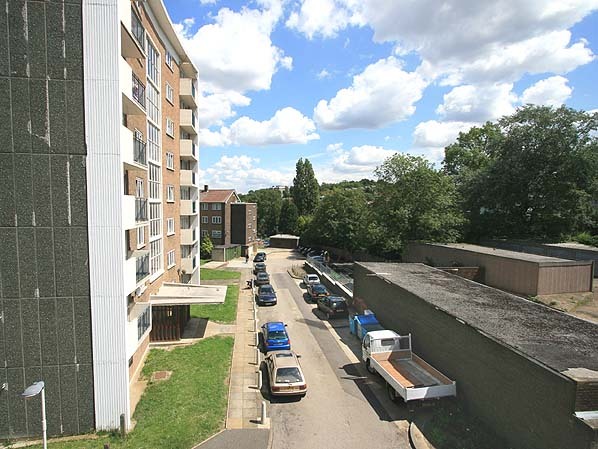 Notes: Honor Oak station was entirely timber built to serve Camberwell Cemetery and the northern end of a new villa development at Forest Hill. There was a small coal yard on the up side. The booking office was initially in a wooden building on the down side of the approach adjacent to the stationmaster's house. It was reached from the west by a subway under the line, in later years tickets were sold on the platform. 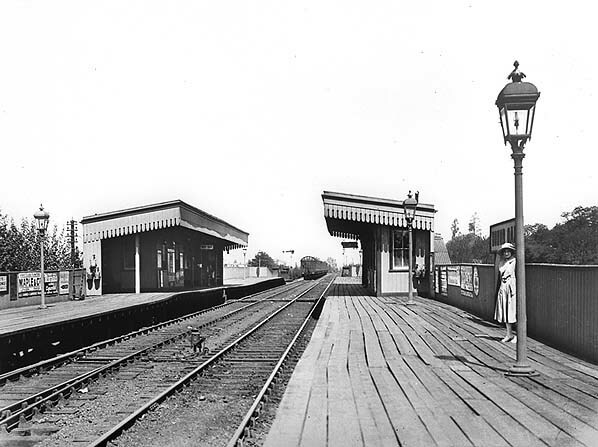 In 1925 the platform was lengthened in preparation for electrification but a traffic census in 1926 showed the station was little used with 654 ‘up’ passengers and 560 ‘down’, passengers preferred to use the nearby Honor Oak Park Station. 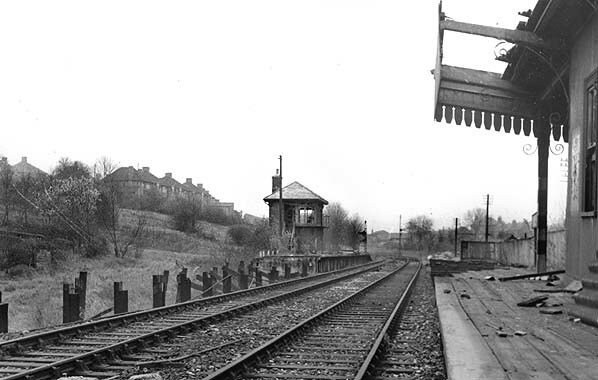 Despite this improvements were authorised in 1929, these included a passimeter booth, parcel lock-up and a retail kiosk. trains bringing over 100,000 people to the Palace, 47 of them to the High Level Station. the remaining passengers began to drift away to other Southern stations, trams and buses. From 6th January 1941 the branch was worked as a shuttle to and from Nunhead but due to the wartime manpower shortage the line was closed on 21.5.1944. After the war, the line reopened on 4.1.1946 when the shuttle service was reintroduced with some peak hour trains to and from Blackfriars. Passenger numbers didn't improve however with many trains during the day running almost empty. With all the stations and the cabling requiring substantial repairs and renewal and no hope of traffic improvement and with alternative facilities readily available, the line's fate was sealed. 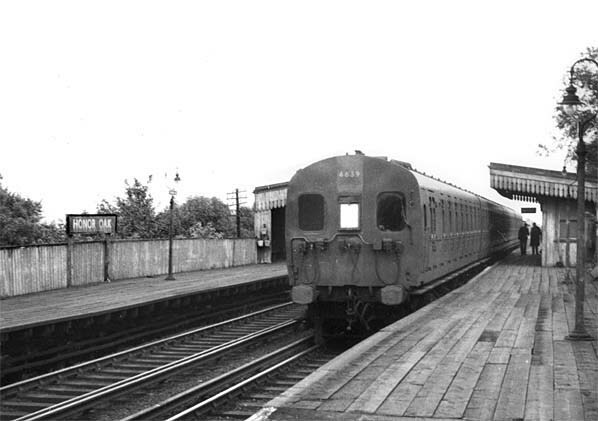 Closure was announced in January 1954 with the last electric train running on 18th September that year and the daily freight carrying domestic fuels to the yards at Honor Oak and High Level from Herne Hill ceased at the same time; this was the first permanent closure of an electrified line. On the following day a final steam excursion ran into High Level from Richmond. much of 1956 and early 1957. Once this had been completed the entire railway land between Nunhead and Crystal Palace was bought by the London County Council who passed it on to local councils for housing and open space development. Although all of the station sites have now been lost under new housing much of the remainder of the route can still be traced forming a five mile railway trail known as ‘From the nun’s head to the screaming Alice’. Both portals of the Paxton and Crescent Wood tunnels survive as does the ornate Coxes Walk footbridge which crosses the line south of Lordship Lane station site. Aerial view showing the site of Honor Oak Station - the platforms are shown in black. The arrow indicates the position and direction of the photograph above.